In my early 20s, I lived in NYC with my sister Lauren while I interned for a few summers. During that time, we pretty much lived the dream–went to cool parties, dined at the trendiest restaurants, and spent our weekends at the beach. Some of my best memories are from those summers! When I visit NYC now, my priority is spending the most amount of time possible with my sister, her hubby, and my two sweet nieces, Emma Jean (2 1/2 years) and Jules (9 months). 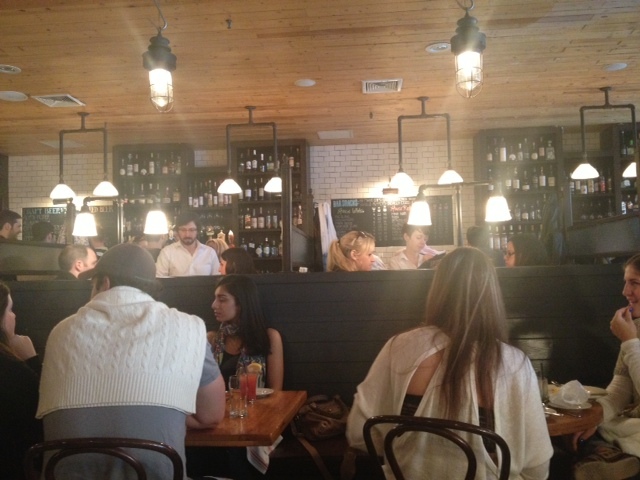 But since my friend Callie moved there in October, I like to meet up for brunch or to grab a drink if we can. Last time I met up with Cal, we went to Cafe Lalo, a neighborhood favorite on the Upper West Side and an important setting in the movie You Got Mail. 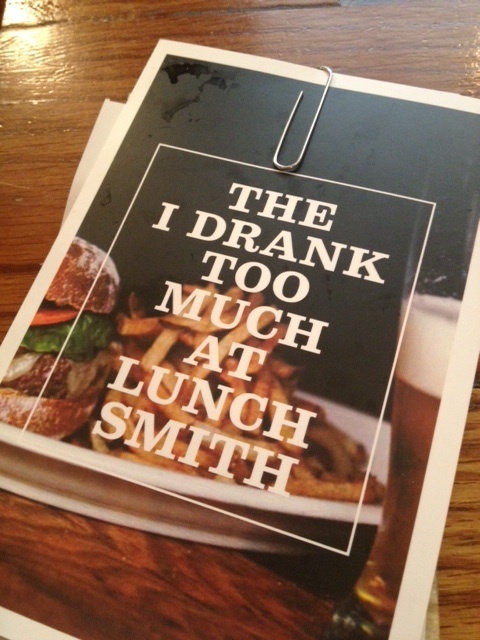 This time, I got a glimpse at my old 20-something life during brunch at The Smith. 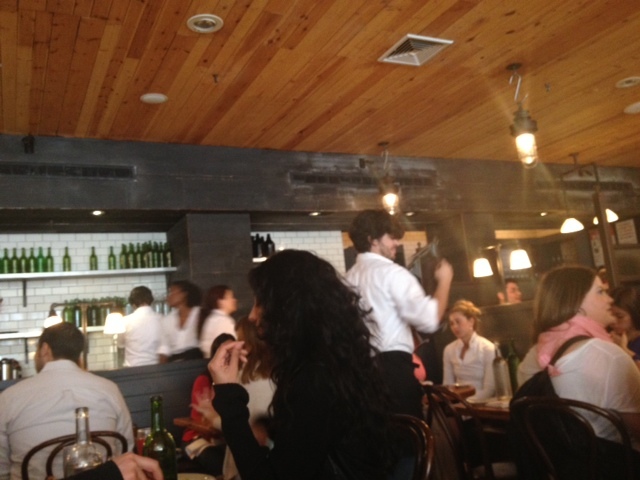 We were seated quickly (a plus! 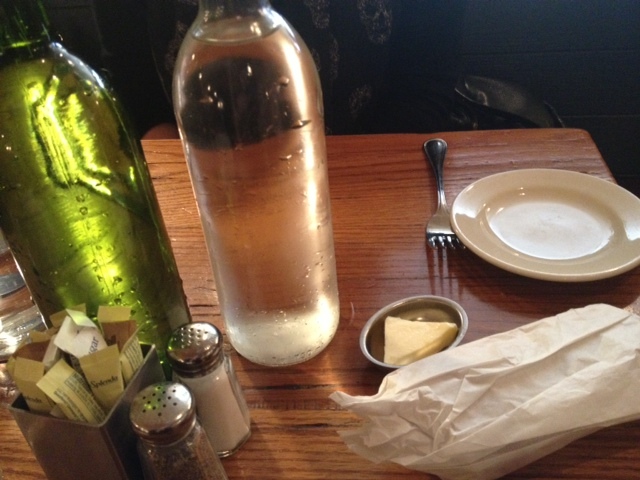 ), and they brought these adorable wine bottles filled with still and sparking water, along with some of the tastiest bread and butter (I swear, what they say about bread being better in NYC because of the water is very true) I’ve had. Side note: must find wine bottles to use for water! 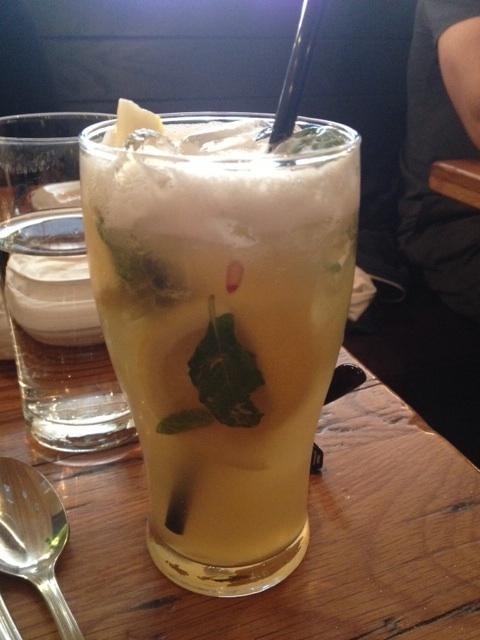 Because I’m on antibiotics again (wha whaaaa), I ordered one of our waiter’s favorite housemade sodas: agave lemonade. This tasted so delicious without being overly sweet. The mint leaves were a good touch. Cal ordered the other, cucumber ginger ale, and my sip was especially refreshing. 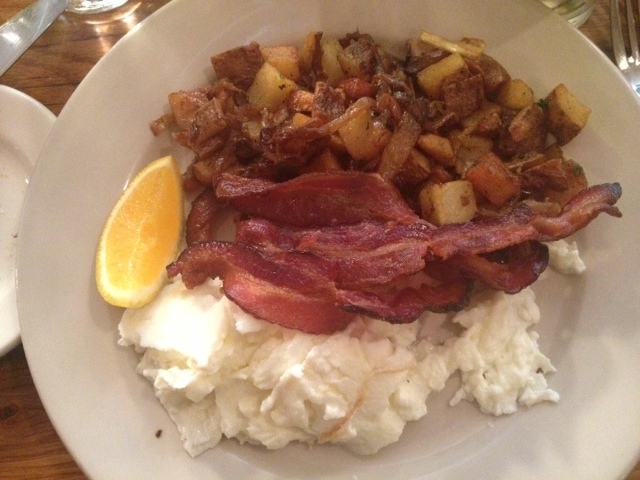 On to meals: I opted for the Simple Scrambled with scrambled egg whites, home fries, and apple smoked bacon. 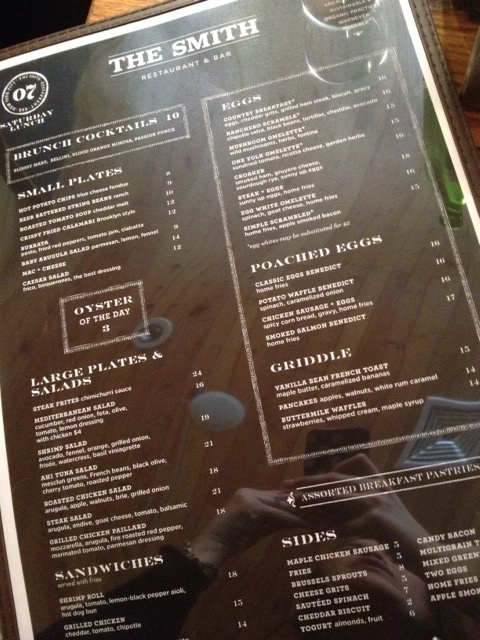 Even though the food was a little pricy (heck, it’s NYC), the portion was good and everything tasted delicious. 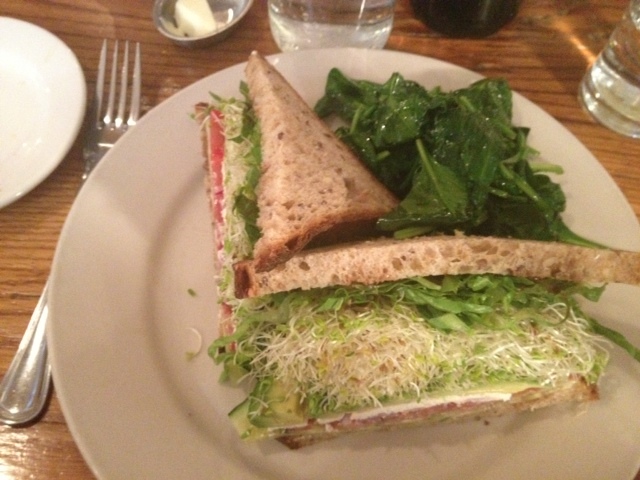 Cal ordered the Avocado Sandwich with goat cheese, cucumber, sprouts, tomato, and red onion on multigrain bread with a side of spinach (damn Callie and her healthy ordering!). 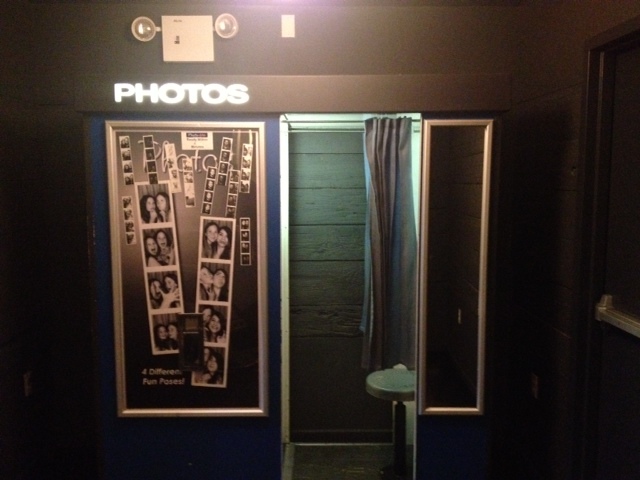 One thing I noticed the restaurant had was a photo booth on the lower level. 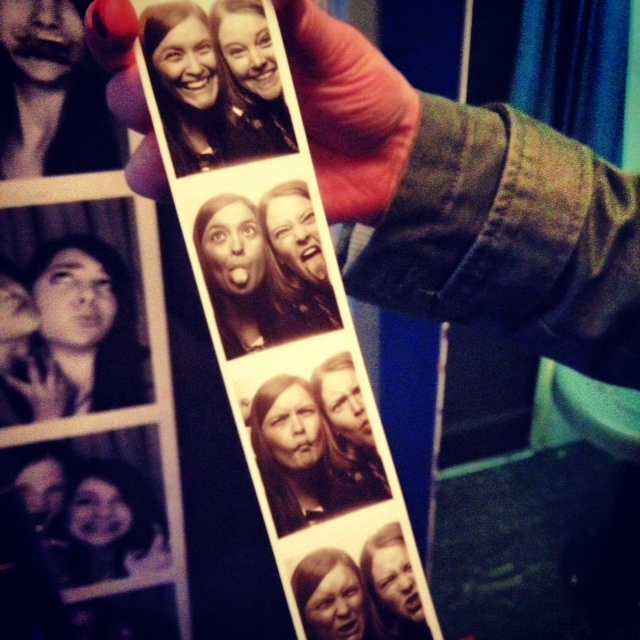 Now, I don’t know about you, but when I see a photo booth, I must take photos–this is kind of a golden rule of mine. I have precious strips of photos from the mall, college bars, adult bars, and weddings, so this visit was not going to be the exception. 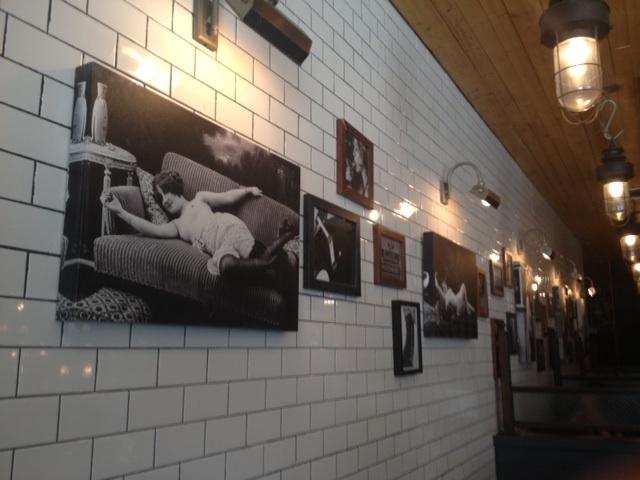 After plenty of giggles and ridiculous faces, we had our photos, and the perfect memento from a perfect brunch date. Can’t wait to see where we’ll end up next time! Wow. The food looks pretty good. I love NYC.